The thing about Virgil Riley Runnels Jr. is that he really was a living, breathing, example of the American dream. I use his "shoot" name not to be some sort of grand smark, but to be clear here that while Dusty Rhodes was The American Dream, the man behind the gimmick was also the real deal. Based on everything I've heard and read he never forgot his humble beginnings and that's a large part of why "The American Dream" resonated with fans. The amount of coverage that Dusty's passing received from the mainstream media pleasantly surprised me for that matter. That, again, is a testament to the mark he left on the wrestling industry and pop culture in general. 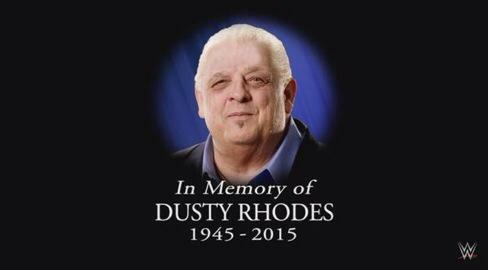 As mentioned there were wonderful tributes shared about Dusty Rhodes this week. Here are some of the best ones. The amazing WWE tribute video which I have probably watched more than any of the others. Sami Zayn discussing what Dream meant to him and why Kevin Owens changed his name to Kip Stern on social media. The NXT in-ring tribute led by Triple H.
Goldust's eulogy to his father and Stardust's as well. This picture of Dusty and his sons from the tribute video is perfect. There are others and I don't mean to shortchange those, but these were the really obvious ones I felt should be shared. If you haven't watched them I recommend you do. 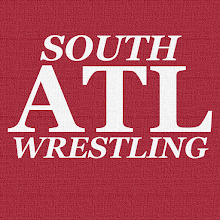 Even if you're reading this and aren't a wrestling fan, take a moment and see how the industry and its fans pay their respects to their fallen legends.